"Prompt, Efficient A Good Job Done." "Really Quick Reply And Assessment Of Job. Clean And Tidy Job. Did Exactly As Quoted." 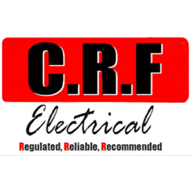 "Polite, Explained Exactly How Much It Would Cost, Was On Time To Do The Job, Left The Hall Clean And Tidy"
"Friendly And Courteous And Knowledgeable"
Need a Electrician in Birkenhead?